P & L Sales & Service is your hometown dealer for top-quality sales and service. We have been established in Hearst for years, and it shows—our customers are our friends and neighbors. We've made a name for ourselves by treating each customer fairly and providing the best experience possible. 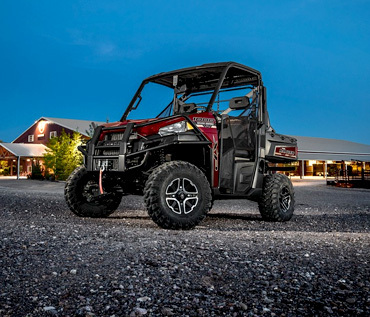 At P & L Sales & Service you'll find not only friendly sales and service staff, but one of the best selections of outdoor recreational vehicles in Ontario. We carry Polaris, Yamaha, Mercury Outboards, Princecraft Boats and service nearly everything we carry. We're sure you'll find what you need at P & L Sales & Service. We know the business—we've known it for years.